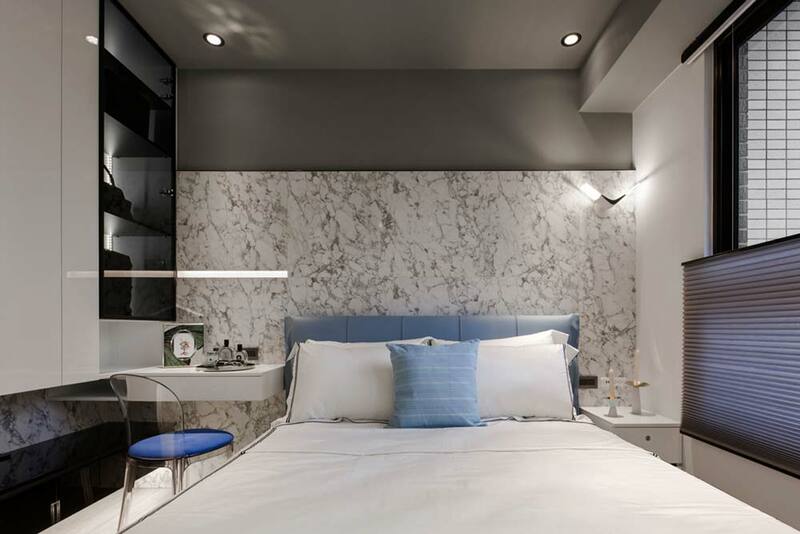 Wrapped in marble and gently enhanced by blue accent furnishings, window coverings, wall inserts and master bedroom furniture, this small apartment is fashioned after an Italy’s “blue hole”. 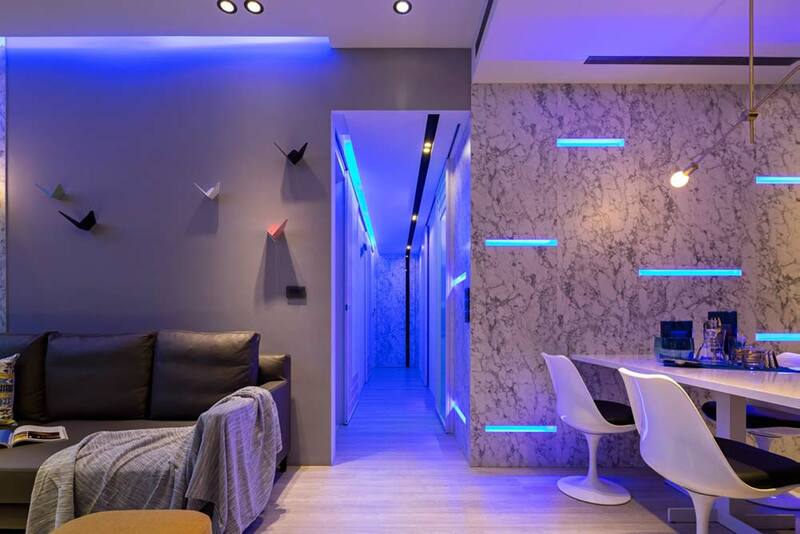 The blue hole is a sea cave located on Italy’s beautiful island of Capri, and is a stunning display of nature that delivers an cavernous blue glow as sunlight passes though the water cave and illuminates everything in it’s wake. 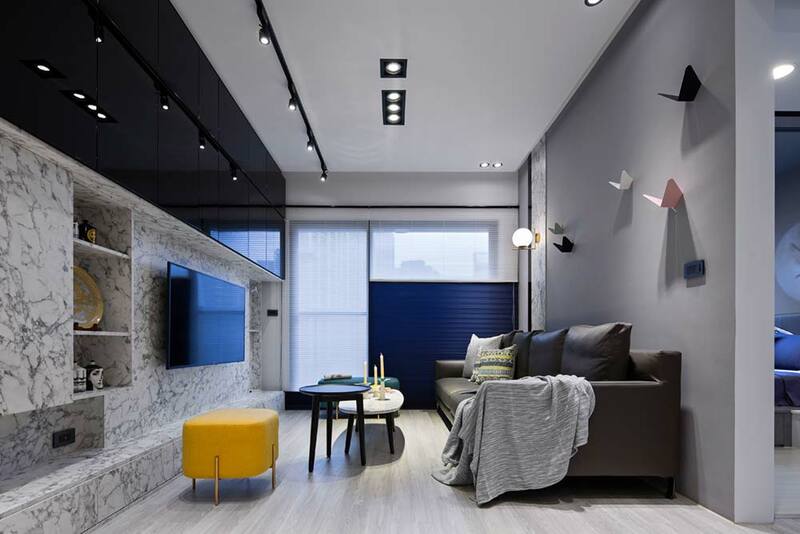 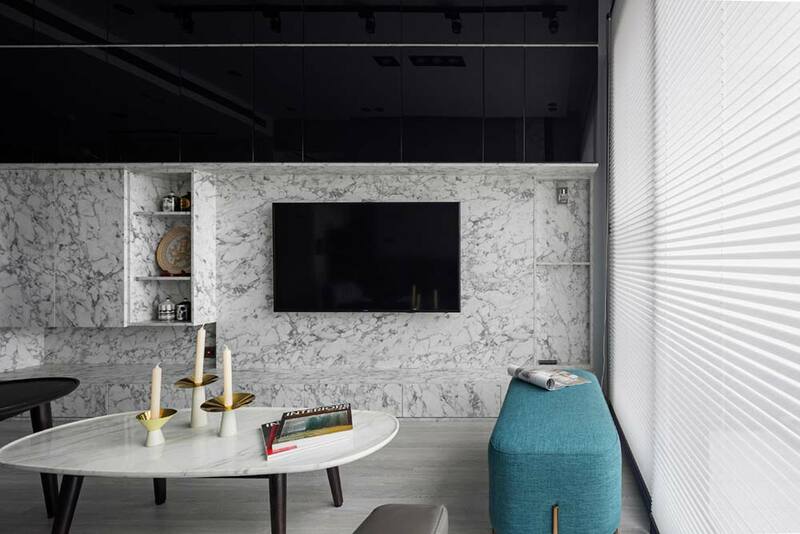 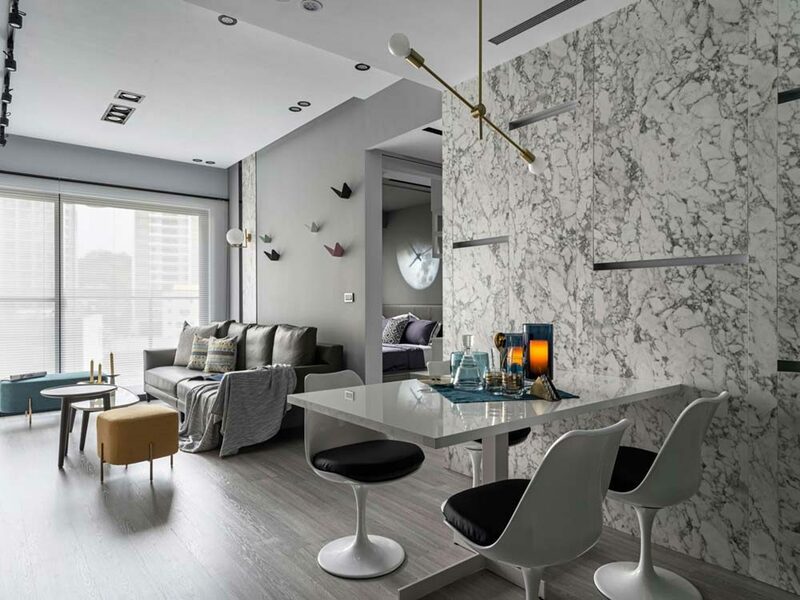 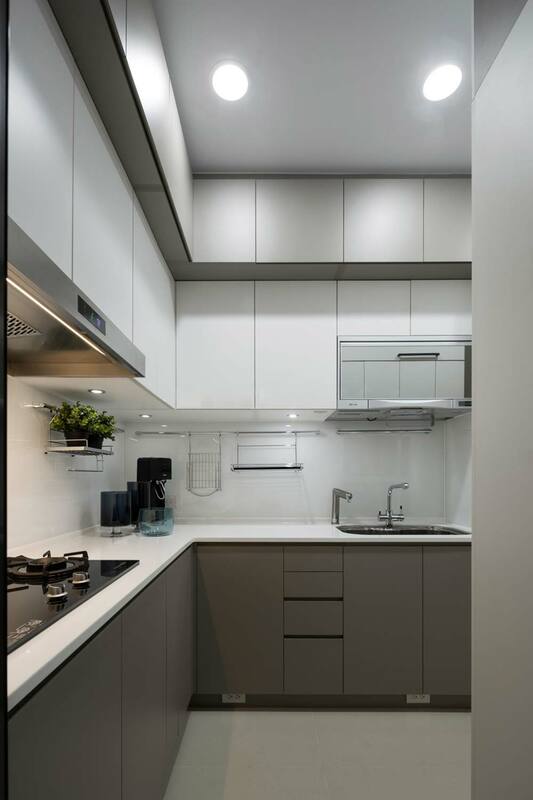 Which was the idea behind this apartment designed by Shiang Chi Interior Design. 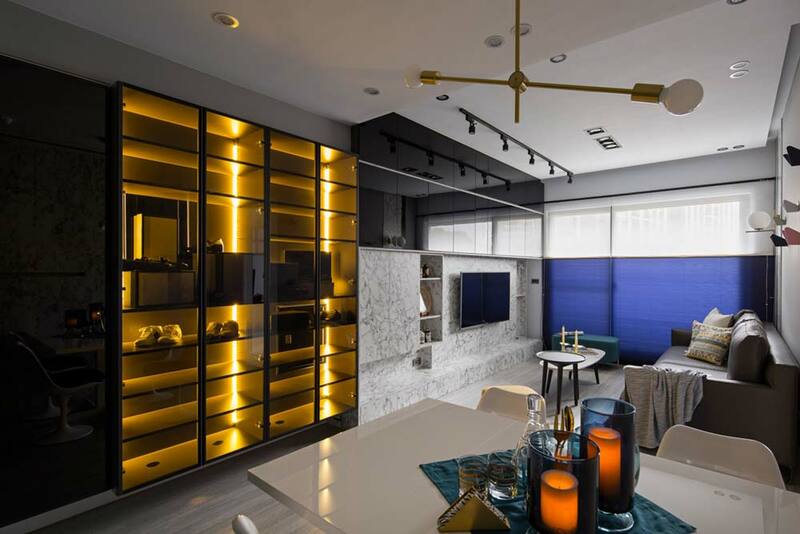 Custom features enhance this compact home, making it a comfortable oasis in a bustling city, while maintaining an air of modern appeal – such as displayed within the cabinets in the living room, which light up behind smoke glasses, creating a warm glow when on and a mysterious appeal when off. 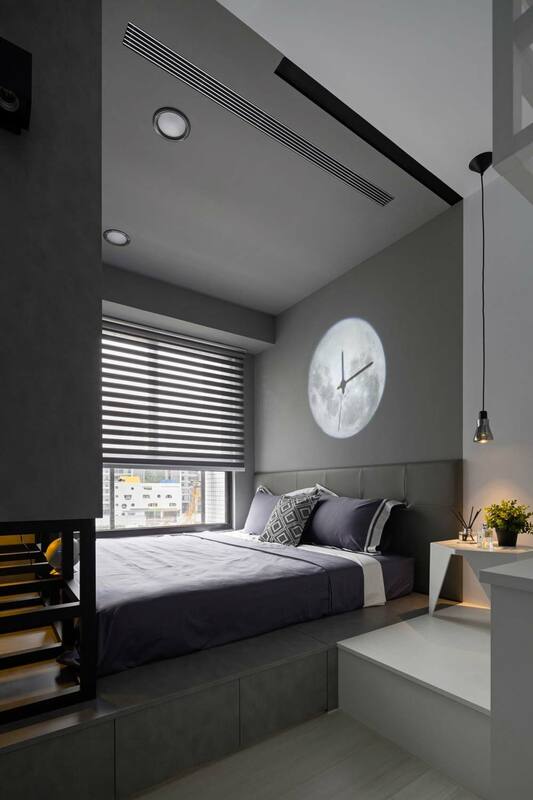 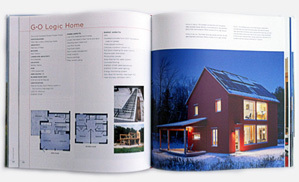 Fashioned after the aforementioned “blue hole”, interiors feel unique yet still homey. 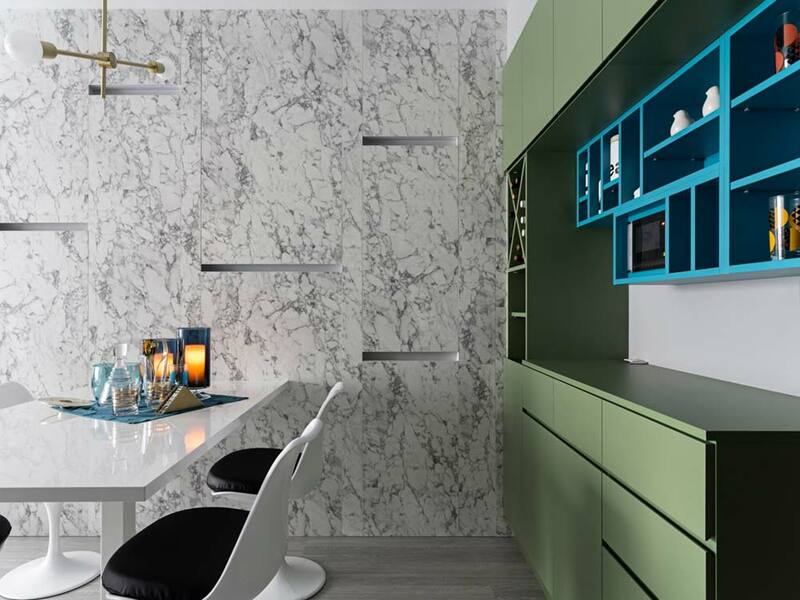 Fitted with a comfortable grey leather couch, white dining furniture set against sea foam green and teal blue shelves fixed to the adjacent wall, along with platform beds in the additional two bedrooms. 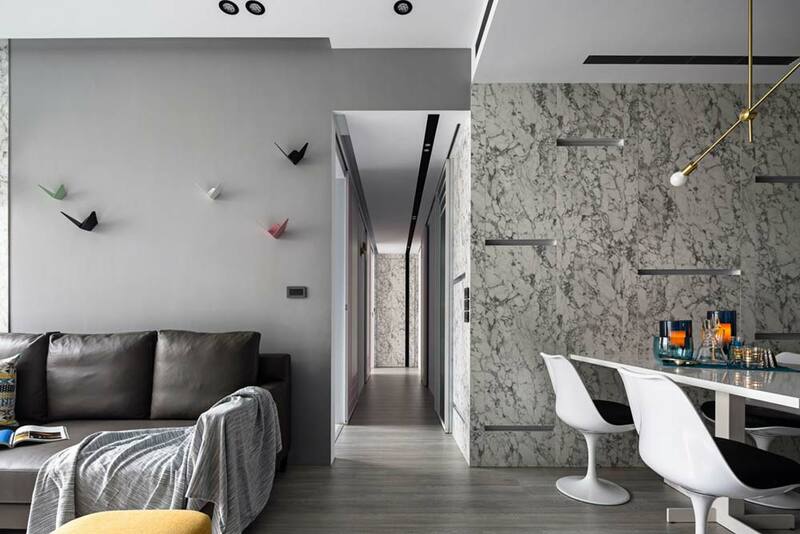 This space comes together swimmingly, creating visual appeal throughout, and turning Grotta Azzura into a physical space for these home-dwellers to enjoy daily.